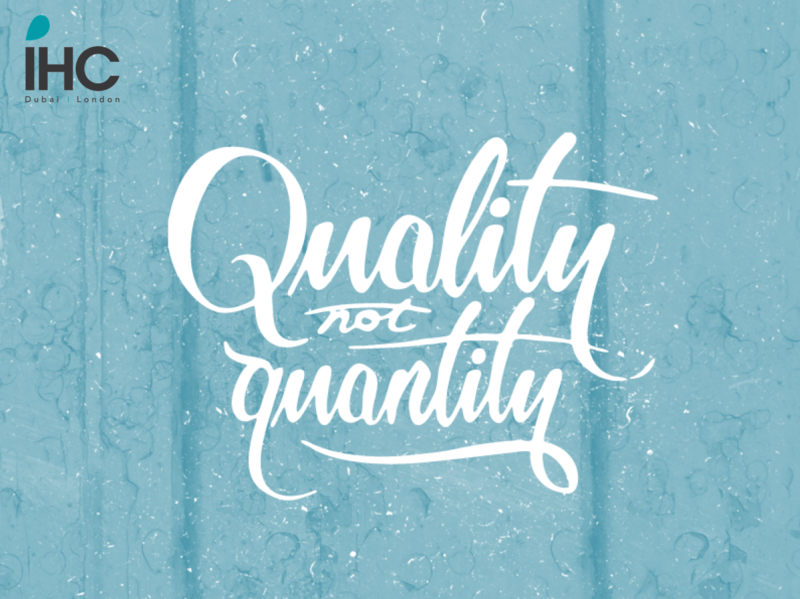 Quality > Quantity as the PR industry continues to evolve Almost two years has passed since I wrote a blog about the differences between modern PR and what we now call the ‘traditional PR’ that existed when I began working in the industry around 17 years ago. My main points included: •	Digital is now more valuable than print for many clients •	PR has become more powerful with the many options for targeted dissemination of stories •	The majority of people are now receiving their news from online sites and social media feeds •	The outlook is positive for the PR industry Over the past few years we have noticed increasingly PR-savvy clients (largely in-house marketing directors and hands-on directors) becoming much less blinkered towards obtaining as much coverage as possible and instead focusing on quality of results. It’s long been a mantra of experienced PR professionals that quality is better than quantity, but the industry has always been burdened by the type of contract based upon X number of press releases a month and Y amount of coverage in titles. Thankfully, clients and in many cases, contracts, have become more flexible and focused upon reaching the right audience. Particularly with the options available for pushing resulting coverage onto the handsets and laptops of the actual target readership, clients see much more value in perhaps an exclusive feature than some small clips and shorts shoehorned into tier-2 media and online portals. We like to call this switch to strategic and targeted PR, with additional push out over social marketing channels: ‘PR+’. The feedback from clients is they are seeing their articles being clicked more by the audience they want to be reading their key messages. They are even receiving messages from their target audience, giving thanks for the ‘informative piece’ or congratulating them on their Industry, Corporate or Product news. Most importantly, or course, clients see a tangible ROI in the form of new business enquiries. We handle PR across the Middle East for a number of blue chip companies and they are all noticeably more appreciative of solid coverage in some targeted tier-1 media outlets rather than a higher volume of coverage across a higher volume of tier-2 titles. This in turn makes our work much more rewarding as, with certain topics, we can focus on securing better results in fewer places than just trying to generate ‘as much coverage as possible’. One of our clients is a telecommunications conglomerate operating across a large number of African countries. We recently placed a number of significant announcements in the key titles in each country. Like the Middle East, Africa has a vast and fragmented media landscape and, as such, it is often better to choose sniper over machine gun as a strategy. This type of manageable, targeted PR is highly valued by our client, who most definitely believes in the quality over quantity concept. Another example is a global Project Management company we represent across the Middle East. The regional director called me to excitedly explain how he had just had an extraordinary moment in a meeting, when a key decision maker from one of the UAE’s main developers approached him to say he enjoyed reading his magazine article, which was reposted and advertised on Linkedin. This key person had never engaged with him before, never mind thank him for putting together an interesting thought leadership piece. Fast forward six months and the client has just landed its biggest ever contract with – you’ve guessed it – the very same developer. We represent another two retained international brands, where getting internal approvals on releases and then approvals from head office was holding back delivery to a critical point. As a successful solution, we have instead adapted our monthly deliverables to: placed feature and interview pitching, instead of press releases. The change has been immediate and effective as they are now appearing in the titles their respective target markets are reading on a consistent basis every month then on relevant social media platforms – the client is happy with progress and we as an agency are more focused on achievable goals. And all this being said, put your faith in your agency that they will be able to identify a scoop early and get some big quantity/ high quality coverage when the story and time is right. Over the last year we have delivered a few releases that not only appeared across the top broadcast channels, front pages of newspapers and across powerhouse Facebook pages; but they also set the country’s news agenda for the day with significant stories people still remember. This is the true power of PR – understanding how best to use the information at hand and maximise its effectiveness for the client. IHC is an integrated communications agency, operating in Dubai and London, contact dubai@ih-c.com +971504661368 for a free consultation, or browse www.ih-c.com for more information. Almost two years has passed since I wrote a blog about the differences between modern PR and what we now call the ‘traditional PR’ that existed when I began working in the industry around 17 years ago. Over the past few years we have noticed increasingly PR-savvy clients (largely in-house marketing directors and hands-on directors) becoming much less blinkered towards obtaining as much coverage as possible and instead focusing on quality of results. It’s long been a mantra of experienced PR professionals that quality is better than quantity, but the industry has always been burdened by the type of contract based upon X number of press releases a month and Y amount of coverage in titles. Thankfully, clients and in many cases, contracts, have become more flexible and focused upon reaching the right audience. Particularly with the options available for pushing resulting coverage onto the handsets and laptops of the actual target readership, clients see much more value in perhaps an exclusive feature than some small clips and shorts shoehorned into tier-2 media and online portals. We like to call this switch to strategic and targeted PR, with additional push out over social marketing channels: ‘PR+’. The feedback from clients is they are seeing their articles being clicked more by the audience they want to be reading their key messages. They are even receiving messages from their target audience, giving thanks for the ‘informative piece’ or congratulating them on their Industry, Corporate or Product news. Most importantly, of course, clients see a tangible ROI in the form of new business enquiries. We handle PR across the Middle East for a number of blue chip companies and they are all noticeably more appreciative of solid coverage in some targeted tier-1 media outlets rather than a higher volume of tier-2 titles. This in turn makes our work much more rewarding as, with certain topics, we can focus on securing better results in fewer places than just trying to generate ‘as much coverage as possible’. One of our clients is a telecommunications conglomerate operating across a large number of African countries. We recently placed a number of significant announcements in the key titles in each country. Like the Middle East, Africa has a vast and fragmented media landscape and, as such, it is often better to choose sniper over machine gun as a strategy. This type of manageable, targeted PR is highly valued by our client, who most definitely believes in the quality over quantity concept. Another example is a global Project Management company we represent across the Middle East. The regional director called me to excitedly explain how he had just had an extraordinary moment in a meeting, when a key decision maker from one of the UAE’s main developers approached him to say he enjoyed reading his magazine article, which was reposted and advertised on Linkedin. This key person had never engaged with him before, never mind thank him for putting together an interesting thought leadership piece. Fast forward six months and the client has just landed its biggest ever contract with – you’ve guessed it – the very same developer. We represent another two retained international brands, where getting internal approvals on releases and then approvals from head office was holding back delivery to a critical point. As a successful solution, we have instead adapted our monthly deliverables to: placed feature and interview pitching, instead of press releases. The change has been immediate and effective as they are now appearing in the titles their respective target markets are reading – on a consistent basis – every month. The pieces are then being read on relevant social media platforms and the desired result is: the client is happy with progress and we as an agency are more focused on achievable goals. All this being said, clients must be able to have faith in the agency that they will be able to identify a scoop when it comes around and get some big quantity/ high quality coverage when the story and time is right. Over the last year we have delivered a few releases that not only appeared across the top broadcast channels, front pages of newspapers and across powerhouse Facebook pages; but they also set the country’s news agenda for the day with significant stories people still remember. This is the true power of PR – understanding how best to use the information at hand and maximise its effectiveness to help achieve the client’s goals. As a team, we thrive upon this power. IHC is an integrated communications agency, operating in Dubai and London, contact dubai@ih-c.com +971 55 786 9000 for a free consultation, or browse www.ih-c.com for more information.